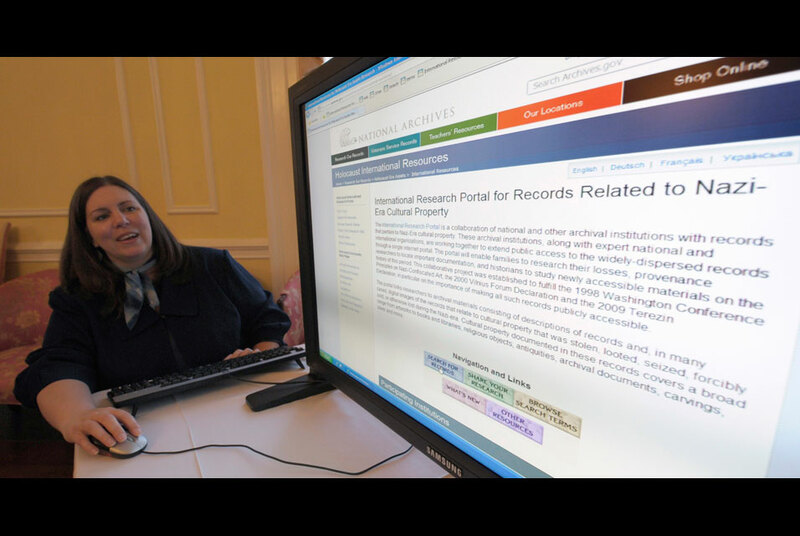 Rebecca Warlow, archive specialist at the National Archives, demonstrates the International Research Portal for Records Related to Nazi-Era Cultural Property during an announcement at the National Archives in Washington, Thursday, May 5, 2011. The National Archives has teamed up with archival institutions around the world to create a comprehensive online database of records relating to looted Nazi art. AP Photo/Susan Walsh. WASHINGTON, DC.- The National Archives and its partners today launched an international Nazi-era assets related records database – making millions of records related to Nazi-era cultural property available online for the first time.